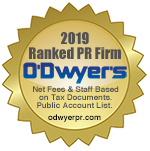 O'Dwyer's has been conducting its PR firm rankings for 49 years. 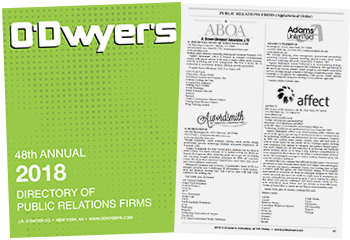 PR firms have distinctive financials. At least half of income is used for staff pay. 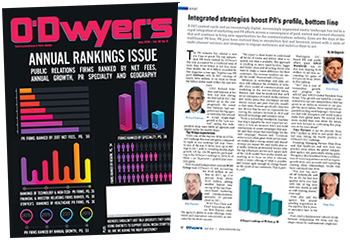 Our rankings measure counseling and media contact services, not advertising or production expenses.